Are there shortcuts for Ecosia? Yes! Ecosia search tags give you quick access to external search functions such as images, maps and YouTube. To use them, just enter your search term as usual with the tag at the end. For example, if you enter "Berlin #m" into the Ecosia search box, you'll get Google Maps results for the term "Berlin". 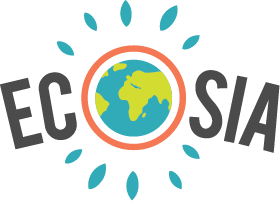 To learn more about Ecosia search tags, watch this video or try the following tags with a search of your choice. Simply put whatever you are looking for in front of the tag you want to use. Just like in the Berlin maps example you don't need to add a + or anything else.